THE BRITISH CAME! And British Bank Holiday Weather too! 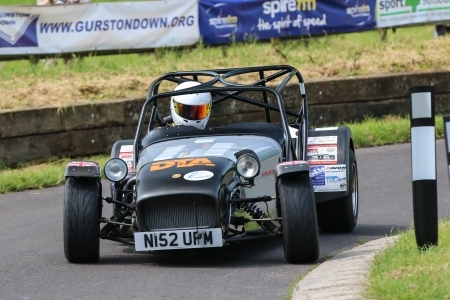 Gurston Down Speed Hill Climb hosted the second visit of the British Hill Climb Championship last weekend. 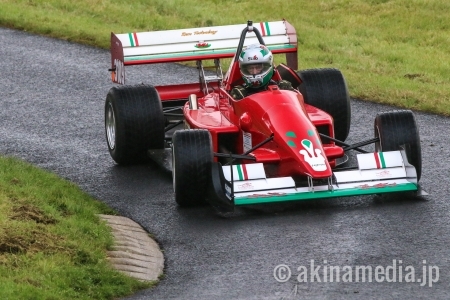 There were two rounds of the spectacular Avon Tyres / TTC Group MSA British Hill Climb Championship and the Avon Tyres / TTC Group MSA Hill Climb Leaders Championship. 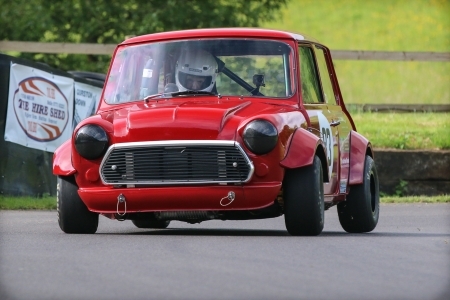 Over 130 cars and drivers competed, all of them pitted their wits against each other, the clock and the fast, twisty course at Wiltshire’s famous Speed Hill Climb Venue. 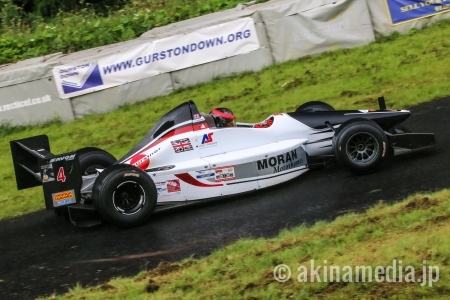 Fastest Time of the Weekend went to Scott Moran and his Gould GR61X in the second of Sunday’s Top Twelve Run-Off. He won the second Run-Off with a 26.40s run. 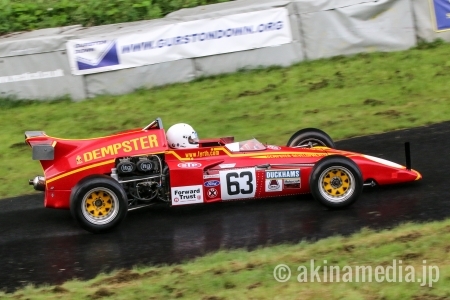 The first Run-Off was won by Trevor Willis and his OMS with a 27.86s in conditions that weren’t exactly conducive to high-speed motorsport. Pete Hammock won the Bath Speed Trophy for the fastest BARC SW member not registered in the British Hill Climb Championships. Saturday was practice day. There were three practice runs, two in the morning in dry conditions and one after lunch, in conditions that could only be described as wet. Great fun for the drivers but not for the spectators! Sunday morning there was an early morning practice, again run in damp conditions. 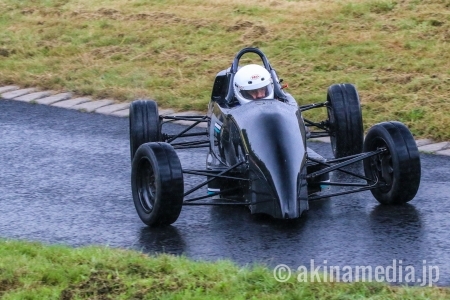 The first timed runs were all in damp or wet conditions. The first of the top twelve run-offs were in similar conditions. After lunch the weather didn’t improve until much later in the afternoon. By the second top twelve run-off came, the track had dried, producing much better times. The Road Going Series Production Car Class up to 2000cc went next. 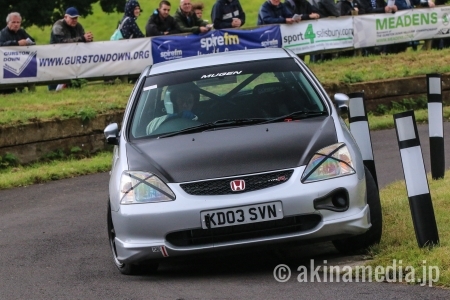 Adam Greenen’s Honda Civic Type R was ahead after first timed runs and stayed there with an absolutely stunning 38.28s run in tricky conditions. Paul Webster, Gurston’s competition secretary in his Mazda MX5 was second with Gurston new-comer Richard Brant (Clio 172) taking third, 40.79s, a great performance! Allan Warburton (34.87s) took the Road Going Specialist Production Car Class beat his son, David (35.16s), in their super quick Caterham. Neil Turner and his Mini finished on 36.36s to win the up to 1400cc Modified Series Production Car Class after trailing to Eric Morrey after the first timed run. Eric ended second on 36.99s. 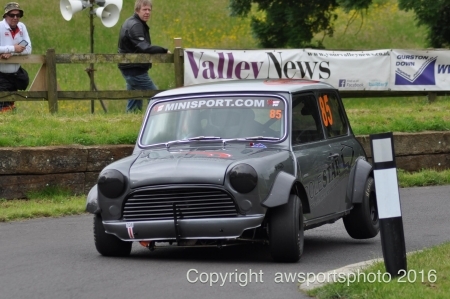 The Modified Series Mini Class had just one entrant so Richard Wood and his Yamaha Mini had his personal best to beat. But that wasn’t going to happen with the conditions like they were. His second timed run was 40.55s. 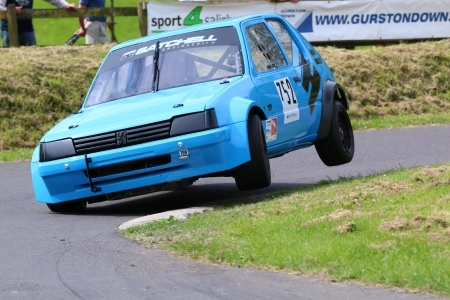 Colin Satchell’s amazing Peugoet 205 won the 1400cc to 2000cc Modified Series Production Car Class with a 35.46s second timed run. 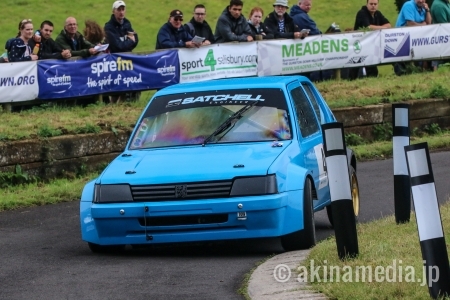 Christrian Evans’ pretty VW Golf just couldn’t match the 205s pace! The over 2000cc Modified Series Production Car Class saw the former Gurston champion, Simon Purcell in his Lotus Exige and Geoff Tremlow’s beautiful Subaru Impreza, fight it out for first. 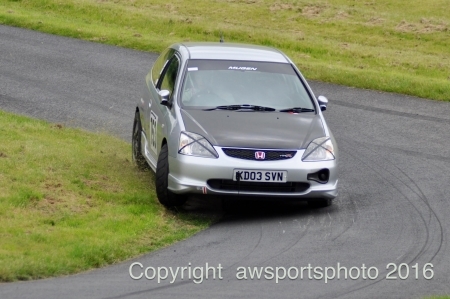 In the earlier damp conditions, Geoff’s four wheel drive sneaking ahead after the first timed runs. Geoff was probably hoping the conditions wouldn’t improve but they did. Simon’s Exige came to the fore in the afternoon when the track dried. Simon ending on 34.82s and Geoff 36.51s. Tim Painter and Andrew Fraser’s stunning Aston Martin Vantage and Mark Walker’s beautifully prepared Porsche just couldn’t match their pace! Antony Orchard pipped Mike Rudge to the Modified Specialist Production Cars Class. Antony coming from behind after Mike set the early pace. Antony finished on 33.04s just 0.25s ahead of Mike. In the Historically Interesting Car Class Fyrth Cross and his Dempster Ensign LNF3 took victory after an issue on his first timed run left him last, some20s off the pace. 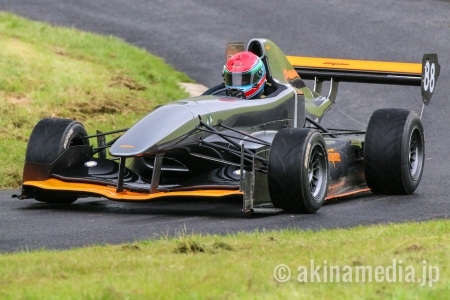 His second timed run produced a 34.73s run, pushing Hugh Kemp’s Palliser WDF3 into second. Unfortunately, the Chevron B19 of Amanda and Richard George was a non starter. The Up to 2000cc Sports Libre Car Class had three non starters. Jonathan Gates, Peter Sexton and Tim Pitfield were all absent. This left Peter Steel and Paul Batey to fight it out. Peter and his Mallock Mk20 won. Paul and his Imp first run failure didn’t help. 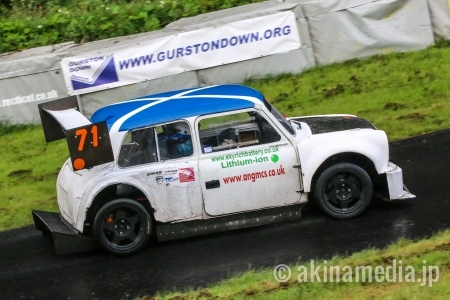 Allan McDonald was on form this weekend in his Mini Evo. He took the Over 2000cc Sports Libre Car Class with a 31.57s run which was only half a second slower than his personal best. 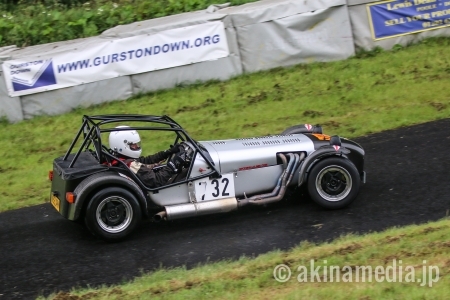 Gurston regular Keith Diggle (WEV HCS) couldn’t match is pace and ended the day, second, on 32.52s. 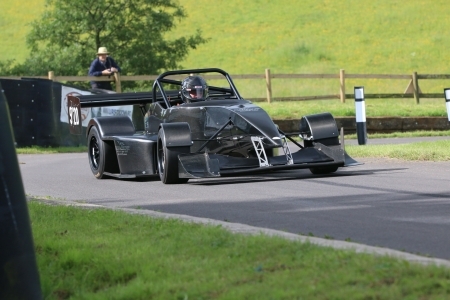 Simon Fidoe’s Empire Wraith won the 601cc to 1100cc Racing Car Class. The huge class entry saw the first seven places separated by just over 1s! Simon being the clear winner with a 30.74s, second timed run. Simon Andrews finished second on 31.23s with Harry Pick third on 31.38s, Adam Steel fourth on 31.55s, Martin Jones fifth on 31.58s, Steve Owen sixth on 31.72s and Jake Cottrill rounding off the top seven with a 31.78s. 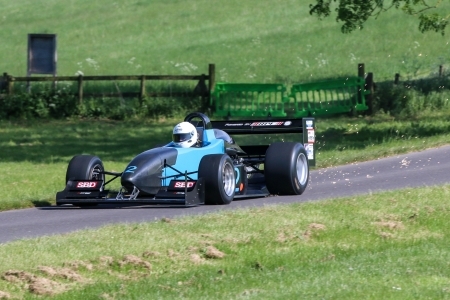 The Formula Ford Class looked like it would be a family affair with Tony and Hannah Wiltshire and their Swift SC93 being in first and second respectively, after the first timed run. But the course was very much drier by the time these cars came out for their second timed runs. Simon McBeath and his Swift SC92F came back to challenge Tony Wiltshire but he didn’t quite make it. Tony ended on 37.12s, Simon on 37.32s! The Racing Car up to 1985 Class saw the Lyncar Formula Atlantic 5 litre shared by Mat Morrison and John Hewett race alone. Mat beating John with a 34.77s second timed run after John had lead after the first. 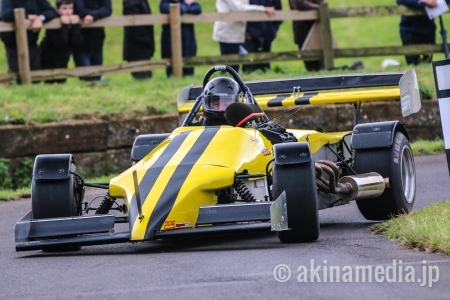 With many of the drivers in the 1100cc to 1600cc Racing Car Class registered for the British Hill Climb Championship this class promised to be close. It was just one second separated the top four. Ed Hollier in his Empire Evo won with a 28.72s, Richard Spedding and his GWR Raptor second on 29.55s and the shared Gould GR59 of Sean Gould and Eynon Price finishing third and fourth respectively on 29.79s and 29.80s. 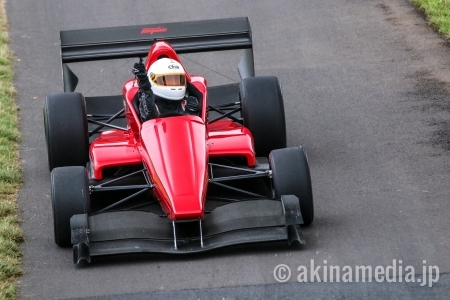 The 1601cc to 2000cc Racing Car Class – Normally Aspirated – saw Tim Davies’ Pilbeam MP88 (30.38s) beat Tim Elmer’s Dallara F303 (30.71s). 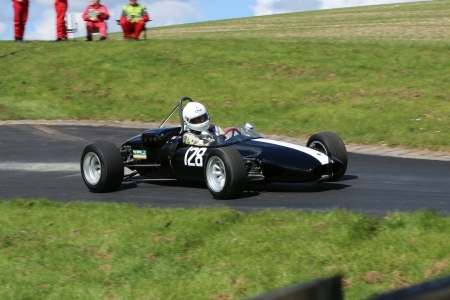 Peter Marsh won the 1601cc to 2000cc Racing Car Class – Forced Induction with a 28.37s second timed run beating Dave Uren and his Force PC back into second by just 0.07s. Dave has a small off in the first timed run which stopped him qualifying for the first run-off. Simon and Peter qualified for both top twelve run offs with their DJ Firehawk too! 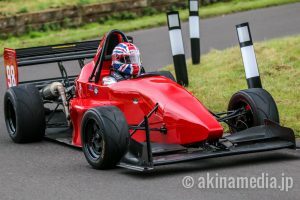 With all to play for in the British Hill Climb Championship, the Over 2000cc Racing Car Class was going to be a proper battle for run-off qualification. Trevor Willis (OMS 28) won the class and the first run-off. His second timed run stopped the clocks on 27.07s with Wallace Menzies’ Gould GR55 NME, second on 27.30s, Scott Moran Gould GR61X NME third on 27.44s, Oliver Tomlin (27.92s) and Jason Morant (28.00s), fourth and fifth respectively. Whilst the top twelve run-off qualifiers were preparing their cars three other classes headed to the hill. 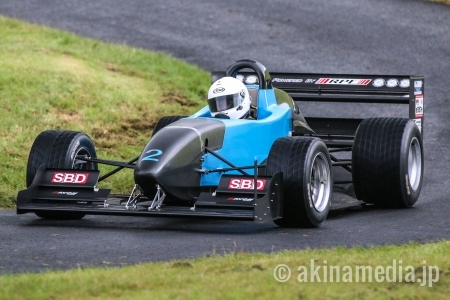 The SBD HSA Speed Championship – Sports and Saloons class saw victory for the Raw Stricker of James Robertson finishing on a 37.79s with Colin Bowdidge’s Caterham second and Dave Newman’s Mazda MX5 third on 41.99s ans 42.36s respectively. The HSA Championship may be a single class but the results are divided up into their correct classes when calculating their overall HSA Championship so it’ll be interesting to see what has changed!. Dean Cubitt won the Mazda MX-5 Class. Dean was pushed by Chris Burley. Chris improved on his second timed run, beating the first timed run time set by Dean. Dean crossed the line on 42.29s edging Chris out by just 0.35s. The BARC South West B Licence Class had a large entry, seventeen cars! 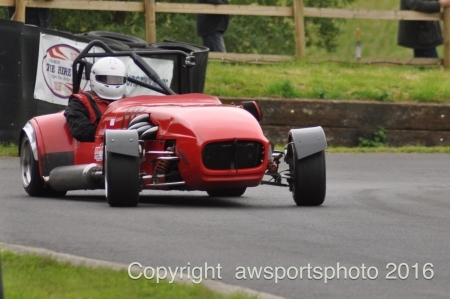 Steve Holland and his Caterham were victorious (33.16s), but it wasn’t clear cut after the first timed runs. 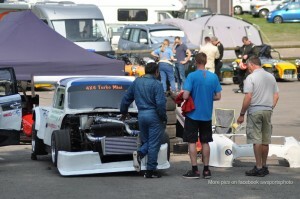 Martin Watson’s Westfield finished second (34.69s) with Dave Lord third (35.04s). 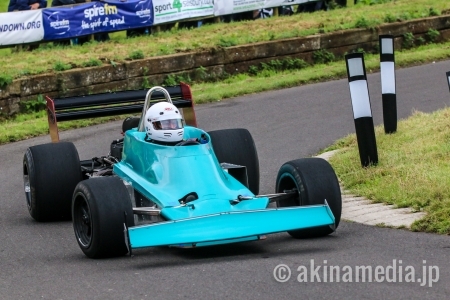 The Avon Tyres / TTC Group MSA British Hill Climb Championship first Top Twelve Run-Off, event 27, was won by Trevor Willis (27.86s), second Wallis Menzies (28.03s), third Scott Moran (28.51s), fourth Jason Mourant (28.74s) and Ed Hollier fifth (29.27s). 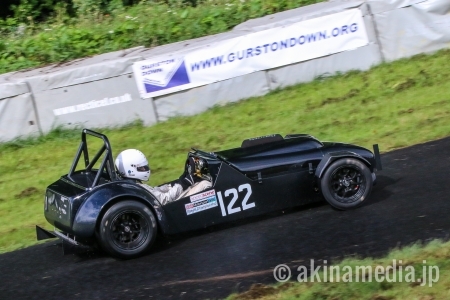 The Avon Tyres / TTC Group MSA British Hill Climb Championship second Top Twelve Run-Off, event 28 and the 100th Run-Off at Gurston Down Speed Hill Climb, was won by Scott Moran (26.40s), second Wallis Menzies (26.60s), third Trevor Willis (26.64s), fourth Jason Mourant (27.63s) and Oliver Tomlin (27.84s). 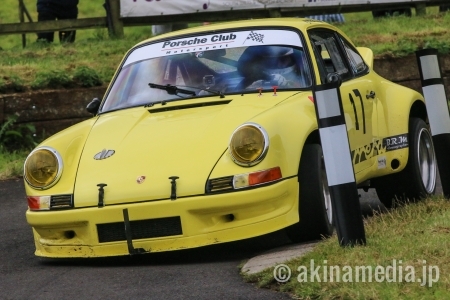 Another great weekend motorsport at Gurston Down Speed Hill Climb. We would like to thank everyone who made the day possible, the office staff, the marshalls (who braved the rain), timekeepers, scrutineers and officials without whom we couldn’t run the meeting. 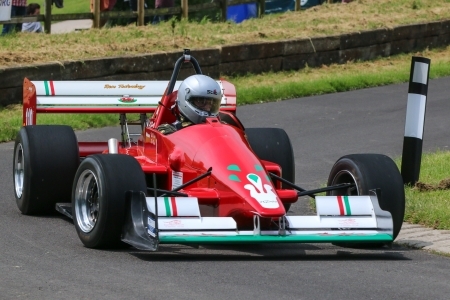 Thanks to Ashley Wood Recovery, TSL Timing, Insight Medical Services, Insight Security and Peter Crutcher from Ringwood PA.
Gurston Down Speed Hill Climb hosts the second visit of the British Hill Climb Championship on 27th and 28th August. 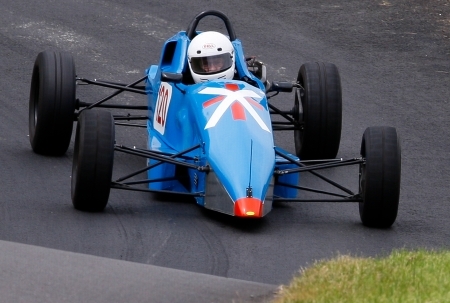 There are two rounds of both the Avon Tyres / TTC Group MSA British Hill Climb Championship and the Avon Tyres / TTC Group MSA Hill Climb Leaders Championship. 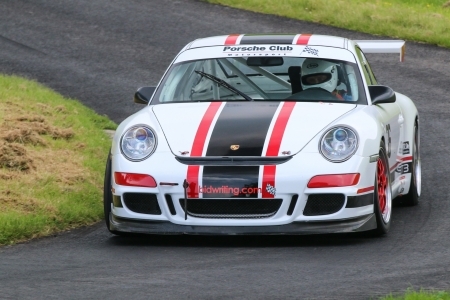 Over 130 cars and drivers will compete in standard road cars, specially prepared hill climb cars and spectacularly fast sport and single seat racing cars. 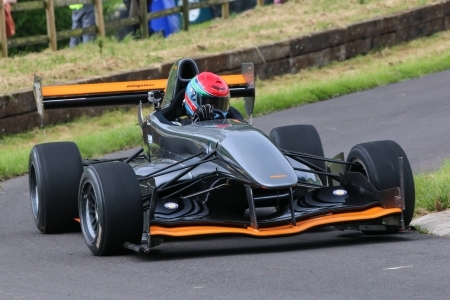 All of them will pit their wits against each other, the clock and the fast, twisty course at Wiltshire’s famous Speed Hill Climb Venue. The weekend will be full of glorious sounds, smells, skill and speed. Spectators have unrivaled access to the hill, paddock, cars drivers and facilities, Gurston Down offers. We have excellent catering and refreshments on site too. Saturday the 27th August is practice day. There will be three practice runs, two in the morning and one after lunch. On Sunday the 28th August, there will be an early morning practice followed by one timed run before lunch and the first of two top twelve run-offs. After lunch the second timed runs are followed by the second top twelve run-off. First timed runs typically start at around 10:30. 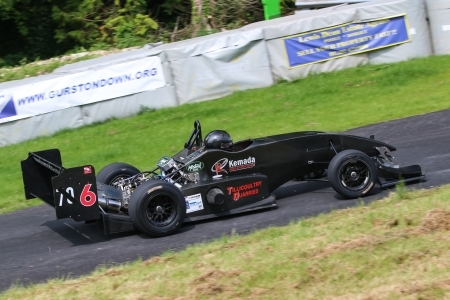 The Top Twelve Run-Off allows the fastest twelve registered competitors in the British Hill Climb Championship to take an additional run. The ten fastest score points, ten points for fastest, down to one for tenth fastest. These run-offs ultimately determine who becomes the British Champion! 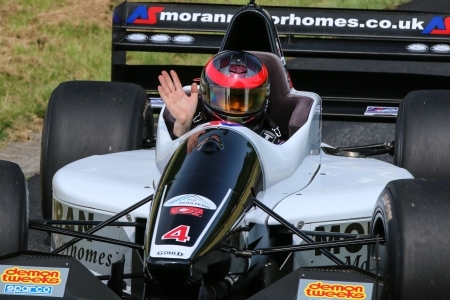 The current leader in the championship is Scott Moran, five time champion and hill record holder at 25.37s. 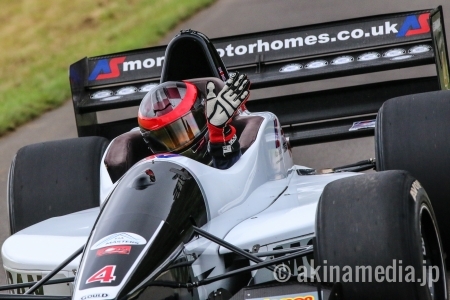 Every driver currently (15th August) in the championship top ten will be at Gurston Down. The weekend will be very important for all of the challengers! So expect there to be spectacular speeds and performances all weekend. The meeting gets under-way with another visit of The Porsche Club’s National Championship Class has an all 911 line-up. The form book says Peter Turnbull, Jonathan Williamson and Paul Howells should be in the top three. The Road Going Series Production Car Class up to 2000cc go next, with Adam Greenen’s super quick Honda Civic Type R and Paul Webster, Gurston’s competition secretary in his Mazda MX5 likely to be the top two. Richard Brant and his Clio 172 have been very successful in the Midland Championship this season so it’ll be interesting to see how his first visit goes! There is only one car in The Over 2000cc Road Going Series Production Car Class. Jamie Powell and his Mitsubishi Evo will have the class to himself. 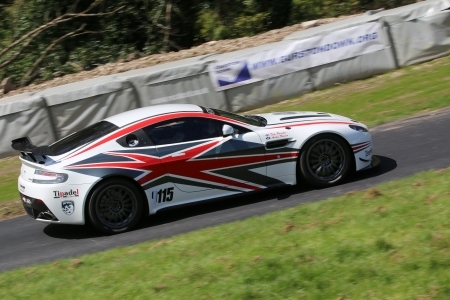 The Road Going Specialist Production Car Class brings the Warburton’s, David and Allan, Caterham to the hill. So the rest of the class will have their work cut out to win! 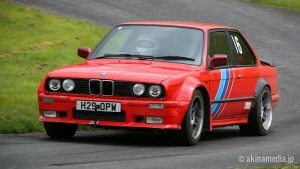 Then we will have the up to 1400cc Modified Series Production Car Class. Andrew Russell’s Gineta G15 will have an uphill struggle to over-come the super fast Minis of Neil Turner and James White. 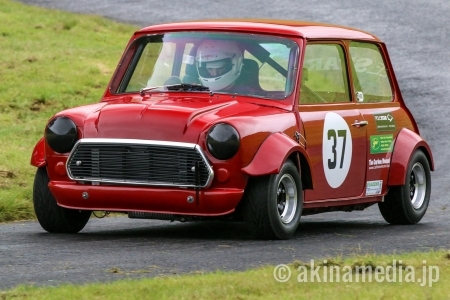 The Modified Series Mini Class has just one entrant, Richard Wood and his Yamaha Mini. Will Richard be looking to improve his personal best? Of course he will, just like every other driver! The 1400cc to 2000cc Modified Series Production Car Class pits the stunning Peugeot 205 of Colin Satchell against Dee Stapley’s MGF and Christrian Evans’ VW Golf. Colin is a man very much “in form” and will probably take the class win! The Over 2000cc Modified Series Production Car Class has former Gurston champion, Simon Purcell in his Lotus Exige up against Geoff Tremlow’s beautiful Subaru Impreza, Tim Painter and Andrew Fraser’s stunning Aston Martin Vantage, Mark Walker’s Porsche and the Datsun 240z of Steph Colvin and Hannah Stapley. It will probably be between Simon and Geoff for first place, although the Aston might just be in the mix too! The Modified Specialist Production Cars Class sees Mike Rudge, Antony Orchard and five other highly competitive cars and drivers. The class win could go to any of the drivers. It will depend on the day! The Historically Interesting Car Class has a host of beautiful cars competing. Mike Broome’s Alvis Mk17 F3, the Chevron B19 of Amanda and Richard George, Jeremy Smithson’s Merlyn Mk11, Fyrth Cross and the Dempster Ensign LNF3, Geoff Hunt’s Lotus 22 and Hugh Kemp’s Palliser WDF3. These cars are always wonderful to see and great to watch. Fyrth has the form but in June it didn’t go all his way. The Up to 2000cc Sports Libre Car Class is likely to be headed up by the supercharged Force LM shared by Jonathan Gates and Peter Sexton. Tim Pitfield and his DJ Firecat would make it easy for the Gates / Sexton team. But who will take the win? The Over 2000cc Sports Libre Car Class sees the Mini Evo of Allan McDonald against Gurston regular Keith Diggle (WEV HCS) and Paul Punnett’s Metro 6R4 Replica. Much too difficult to predict who will be the victor. The 601 to 1100cc Racing Car Class has a huge entry! Simon Fidoe in his Empire Wraith, Adam Steel (Marlet AS1), Steve Owen (OMS 28), Olivia and Liam Cooper (Force HC), Lindsey Summers (DJ Firehawk) to name just a few. This class will be close class. At May’s meeting the top nine drivers were separated by just 1.5s. 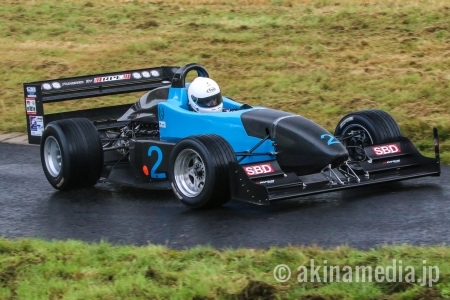 Simon McBeath starts favourite in the Formula Ford Class. Simon in his Swift SC92F, who is the class record holder won’t have an easy time. The class sees Roger Moran and Tony Wiltshire and four other drivers who won’t let Simon walk away with the win. Another class that will be decided on the day. The Racing Car up to 1985 Class sees one car and two drivers. The amazing Lyncar Formula Atlantic 5 litre of John Hewett and Mat Morrison is a spectacle in it’s own right and sounds gorgeous! 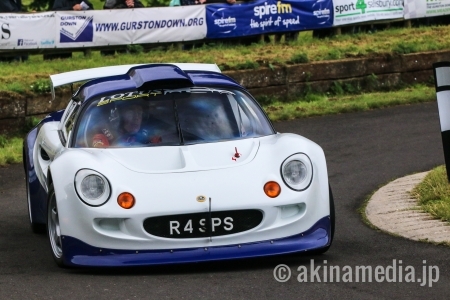 The 1100cc to 1600cc Racing Car Class puts Ed Hollier in his Empire Evo up against Sean Gould and Eynon Price’s Gould GR59 and Richard Spedding’s GWR Raptor. All of these drivers are currently fighting for the British Championship to ten places so they won’t be holding anything back on the day. But there are six other drivers! Current season form and a top twelve run off place at stake means this class will be fast and close! The 1601cc to 2000cc Racing Car Class – Normally Aspirated – has five cars and seven drivers competing. 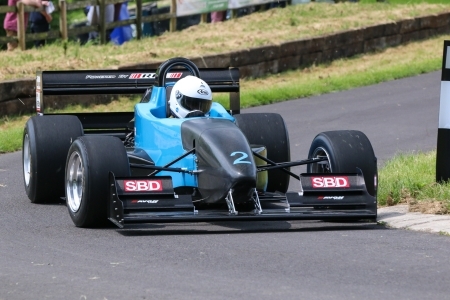 Tim Davies’ Pilbeam MP88 won in May but Tim Elmer and Terry Davies and the other drivers will be looking to change that. 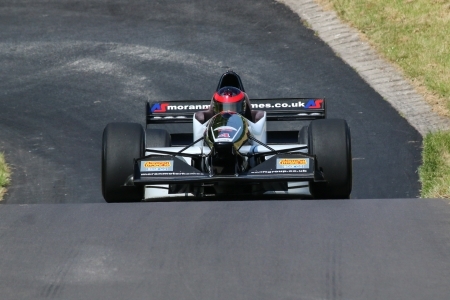 The 1601cc to 2000cc Racing Car Class – Forced Induction – brings Dave Uren and Nicola Menzies’ Force PC back to Gurston. 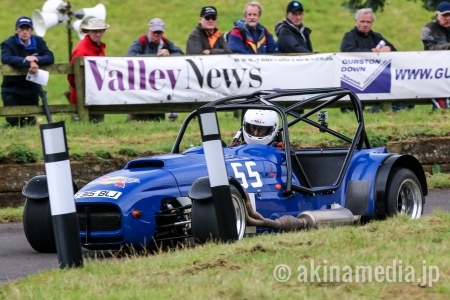 Dave is having a fantastic season in the British Hill Climb Championship so Simon and Peter Marsh will have to use every bit of their local knowledge to catch David Uren. The Pilbeam MP101 of Kelvin Broad shouldn’t be ruled out! But Dave starts favourite. 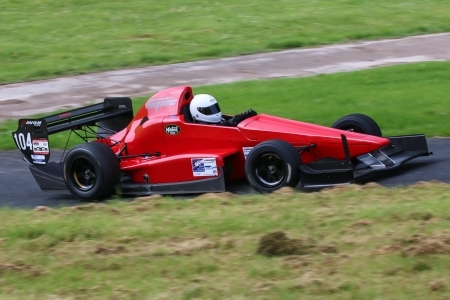 The Over 2000cc Racing Car Class has five of the current top ten contends in the British Hill Climb Championship including five time winner Scott Moran who leads the championship. 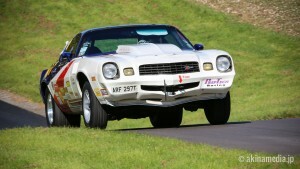 Trevor Willis (OMS 28) should be back after a crash at Wiscombe Park in July. Wallace Menzies’ Gould GR55 NME, Will Hall (Force WH-XTEC), Graham Wynn (Gould GR55), Tony Hunt and Terry Graves (Gould GR55) and Jason Morant (Gould GR55) will all make Scott work for the win. BUT they will all want to qualify for the Top Twelve Run-Offs! All of these drivers will be looking for qualifying places in the Top Twelve Run-Off. The two Top Twelve Run-Offs in the Avon Tyres / TTC Group MSA British Hill Climb Championship will be held after the next three classes. Fastest Time of the Day will probably come during one of these two run-offs. 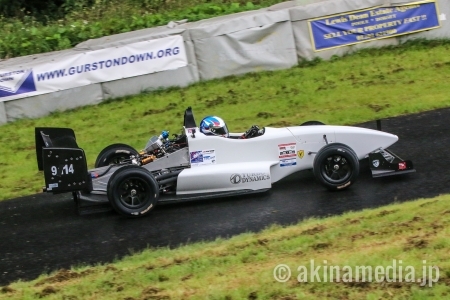 The SBD HSA Speed Championship – Sports and Saloons Class brings an array of different cars to Gurston Down. The HSA Championship may be a single class but the results are divided up into their correct classes when calculating their overall HSA Championship scores. David Newman (Mazda MX-5) will have Ken Morris’ MX5 to contend will so that will be an interesting battle. The overall class win will probably go to the BMW 330 ci of Sarah and Colin Davies or Colin Bowdidge’s Caterham or perhaps the Raw Stricker of James Robertson. 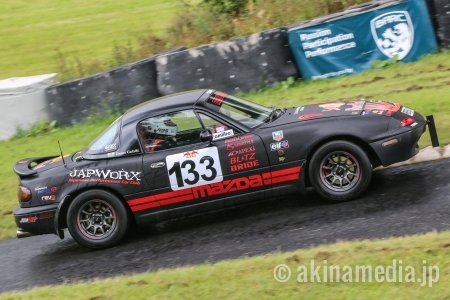 The Mazda MX-5 Class sees Dean Cubitt back after various gremlins at the July meeting. He is probably favourite for this class. But there are some new-comers here too, so Dean will need to be on top form! The BARC South West B Licence Class has a large entry, seventeen cars! James Gibson in his OMS Hornet is seeded first, with Martin Watson’s Westfield and Steve Holland’s Caterham seeded second and third respectively. Jeff Way brings the 7.5 litre Chevrolet Camaro back too. Times: Saturday Practice from 0830 until 1500 approx. Sunday 0830 Final Practice then timed runs from approx 1030, followed by First Top Twelve Run-Off, then lunch and final timed runs from 13:00 Second Top Twelve Run-Off. Admission: £10 for adults Sunday (£6 on Saturday), accompanied under 15s free, free paddock entry, free parking.